The financiers of the anti-vaccination movement now blamed for a resurgence of measles in the United States include trial lawyers suing drug companies that manufacture vaccines and high-profile Democratic fundraisers, public records show. Attorneys suing pharmaceutical companies over alleged side effects from vaccines secretly paid hundreds of thousands of dollars to a British doctor who in 1998 published a since-debunked and retracted study linking vaccines to autism. Since then, foundations and individuals associated with the Democracy Alliance, a shadowy network of left-wing political donors, have continued to finance a leading American organization that experts say uses debunked science to promote unfounded fears about vaccines. Democrats are looking to turn suspicion of mandatory vaccination policies into attacks on some Republicans, but the roots of the "anti-vax" movement are not confined to the political right. 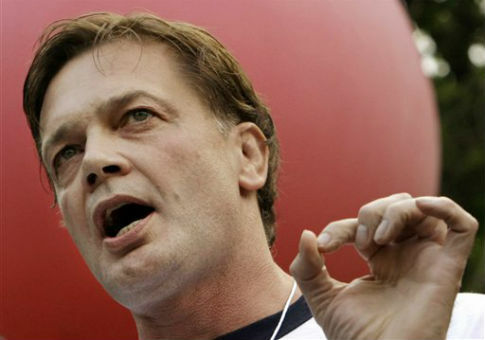 The modern anti-vaccine movement can be traced to a 1998 study by the disgraced British surgeon Andrew Wakefield. The study purported to find a link between the measles, mumps, and rubella (MMR) vaccine and instances of autism and bowel disease. The Lancet, the British medical journal that published Wakefield’s study, retracted it more than a decade later. By then, pseudo-scientific fears and conspiracy theories about vaccines pervaded segments of Western society, and vaccinations rates were falling. It was also revealed that Wakefield and other doctors who worked on the study received large sums from attorneys who were trying to show that the MMR vaccine was unsafe as part of a lawsuit against its manufacturer. "This lawsuit was an industry, and an industry peddling what turned out to be a myth," Liberal Democrat MP Evan Harris said in 2006, when the Sunday Times first reported the payments. Despite evidence of a clear financial conflict and numerous debunkings of Wakefield’s work, some in the anti-vaccination remain unconvinced. "The Wakefield inquisition is a spectacle designed to persuade all doctors contemplating questioning the safety of current mass vaccination policies to remain silent," wrote Barbara Loe Fisher, co-founder and president of the National Vaccine Information Center. NVIC, based in Sterling, Virginia, has become a leading voice of the anti-vaccination movement since Wakefield’s fall from grace. "Based on its name, [NVIC] certainly sounds like a federal agency," wrote Michael Specter, a reporter for the New Yorker, in his 2009 book Denialism. "Actually, it’s just the opposite: the NVIC is the most powerful anti-vaccine organization in America, and its relationship with the U.S. government consists almost entirely of opposing federal efforts aimed at vaccinating children." The year of the release of Specter’s book, NVIC held its "Fourth International Public Conference on Vaccination. The conference’s theme was "show us the science and give us a choice." Among the speakers at the event, which promoted supposed public health dangers associated with vaccines, were two attorneys, Walter Kyle and Bob Krakow, with vaccine injury practices. The NVIC remains defiant as California authorities scramble to control a measles outbreak traced to unvaccinated children at Disneyland. "The hype about 51 cases of measles reportedly linked to Disneyland has more to do with covering up vaccine failures and propping up the dissolving myth of vaccine acquired herd immunity than it does about protecting the public health," Fisher wrote last week. Throughout its anti-vaccination campaign, NVIC has received support from organizations and individuals associated with mainstream liberal and Democratic politics. The Tides Foundation, a left-wing group that funnels money from high-dollar donors to like-minded activist groups, has donated to NVIC. Tides’ managing director sits on the board of the Network for Good, which has also contributed to NVIC. One of its most prolific donors is the Dwoskin Family Foundation, run by Albert Dwoskin—a high-dollar Democratic donor, former chairman of the Democratic data firm Catalist, Democracy Alliance director, and adviser to the pro-Palestinian group J Street—and his wife, Claire, a former finance vice-chair of the Democratic National Committee. The foundation’s most recent contributions came in 2012, when it donated nearly $30,000 to NVIC. It also gave $25,000 that year to Media Matters for America, a left-wing research outfit that has hammered conservatives who have expressed sentiments similar to NVIC’s. Claire Dwoskin sits on NVIC’s board, according to documents filed with the Internal Revenue Service. She also founded the anti-vaccination Children’s Medical Safety Research Institute and helps organize the Vaccine Safety Conference, a gathering of like-minded activists. The latest conference, held in 2011, was underwritten by Paul Soros, the late brother of the billionaire Democratic financier George Soros. These events and organizations routinely promote findings that the bulk of the scientific establishment considers dangerous. Recent remarks by Sen. Rand Paul (R., Ky.) and Gov. Chris Christie (R., N.J.) have turned the vaccination issue into a political one. Unearthed comments from President Barack Obama and Hillary Clinton have further thrust the issue into the realm of presidential politics. This entry was posted in Issues and tagged Democratic Donors, Health Care, Nonprofits, Vaccines. Bookmark the permalink.